Create rosters quickly and efficiently with a powerful range of smart recommendations that take into account training, leave, availability, stress levels and hours worked within the day or pay period. 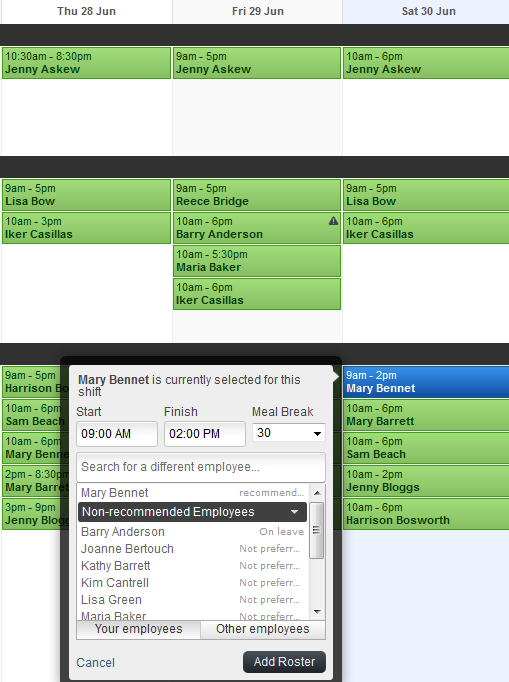 Allow staff and management to schedule from any PC, iPad or tablet, giving staff total flexibility with the employee schedules and instant communication with employees. See in real time who is on shift & expected to show. Use the shortcuts to quickly find a replacement if required. If you have just one or hundreds of locations or departments, staff rosters can better help you manage your shifts and employees. 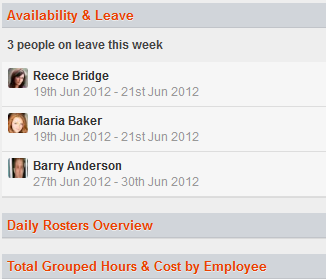 Businesses want to know when their staff arrive at and leave work. Employees want to log their hours so they get paid. Best of all, with the geo-locate feature, time theft is a thing of the past. 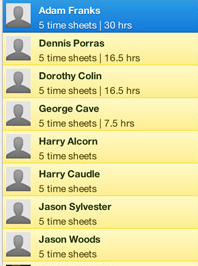 The business of time sheet management and paying staff has never been faster. Gone are the days of using time sheet templates, or trying to decipher messy hand writing. Your workforce has the best-of-breed technology, allowing them to enter their timesheets by using the app on their mobile device. Empowering employees to check in and check out removes any need for hardware in your business which in turn brings hardware costs, perfect when you have less than 20 staff on a single location or 20 staff on multiple locations..
Staff rosters allows you to quickly see which of your employees are currently on leave, only see the employees you are responsible for. Employees can apply for leave in advance with the mobile phone app and also advise availability into the future assisting you when scheduling by making staff on leave and those who have requested days off “not recommended” at the time of creating the roster. Staff check in and check out by mobile phone – Who has not got a mobile phone today! 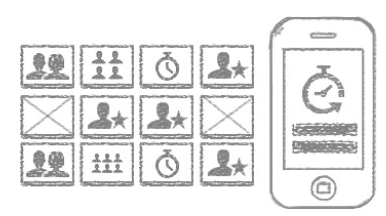 Employees can log in and out through the mobile phone they own, no hardware no stress. Once the app is downloaded employees will clock in and out within minutes with each clocking Geo Located against the location of the employee. Communicate electronically with your team no matter how far they are away. 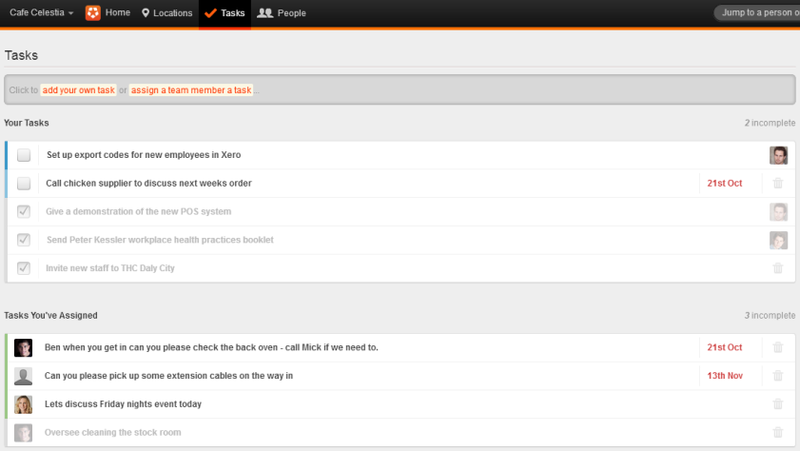 Quickly create your own task or assign one to a team member. Set dates for your tasks so everyone knows what to expect and you can keep on top of what needs to be done in the notifications panel. No matter how many locations or departments you have in your business, install a kiosk everywhere you need to collect employee data centralising dozens or hundreds of locations. Share messages with employee and staff locally or across all your locations. Sign up now and start rostering your employees in minutes. 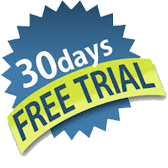 Start a 30 day trial, we will assist you to set up your account. As soon as we get the message you have signed up we will call to assist you to get started. No credit card required for 30 day free trial – let us help you get started. Click to register for the FREE Version now! Click to Sign up and start using now! !